This week, as I was browsing the World Wide Web for some blog post inspo, I stumbled upon the most interesting post titled “The 9 Highest-Paying Jobs for Millennials“. I thought it would be interesting to have a look because immediately I had made an assumption around what the jobs would be and secondly, you know, just for control haha, “am I positioning myself and my career in the right way?”. So as you can see from this list… very traditional and “normal”. Granted, the rules used to develop the list looked at the most high paying jobs first and then whether they were occupied by millennials, which essentially skewed the outcome however, this discovery beckoned some question in my mind…. Are millennials as a market/commodity being undervalued? Are millennials being used as SMEs in the workplace to build and shape rules of engagement/ products and services for other millennials? Because we know the roles of the “new age” (Google top 10 roles that exist/will exist in that future that have never existed before) have been identified and are being staffed in different industries, is the collective value of these roles being overlooked by attaching lower salary tags to them? and secondly I wonder whether millennials occupy these roles or is millennial employee confidence so low that millennials cannot be trusted to launch new business units/ operations before they wave their employees goodbye (to run off into the sunset with a round trip ticket… or to start their own companies and run wild in a space free of bureaucracy or something else millennially haha). Either way, whatever is happening in this situation is a loss on all fronts because corporations are sleeping on innate industry experts internally who can help master a market of consumers that plug into almost any industry; and the millennial workforce is disengaged and attriting in traditional workplace settings. However you choose to look at it though, there is 1 major thing that this article highlights and that is “money goes where there is perceived value- money attracts money” and maybe (just maybe) as a generation, we just haven’t proven ourselves enough. Hell even till today Bitcoin still has its skeptics! Once in a while a group of my trusted advisers spew out some pearls of wisdom and generosity becomes us as we share some of our greatest lessons. Considering that we are all about to all about to enter into a new year, groups of millennials around the world have also decided to take the plunge into the workplace environment. If you are new or seasoned in the workplace I believe that some of the tips below could stand you in good stead for carving out a successful 2017 (and hopefully career) and ensuring that you cross over with your sanity into 2018! 1. Stanbic IBTC CareerTip: Follow-up on all applications, phone conversations and interviews. Employers seek candidates who distinguish themselves by showing they are truly interested in the opportunity. Be like Oprah, make that paper…. 2. Negotiate your salary, know your worth (click to follow link to salary negotiations article). 3. Read. statistics show that readers make better contributors to society ok? Don’t look for a link, just go buy a book. 4. Don’t do a 5 year plan. It limits the universe to opening up opportunities/ you seeing opportunities because you have now confined yourself to a 5 year plan cast in stone. High level have 2/3 objectives for each year that tie into your lifetime goals but always be on the hunt for an opportunity. Instead write down what you want to achieve. 5. Guard against societal pressure. Don’t allow peer pressure influence your spending and investing habits. 6. Focus. Don’t let minor problems distract you from your overall goal. 7. Find a place where you can grow with your tasks and where you are in an environment that supports your development. 8. From the get go, be vocal about your expectations in your role, this way no one is surprised or disappointed in the long run. 9. It’s very important to be deliberate about creating and managing your perception… yes be true to who you are, yes bring your whole self to work BUT, don’t forget that people understand other people from their frame of reference. So if you don’t think it is worth your time understanding how the people who matter in your career receive you, also be prepared to face the consequences thereof. People be petty AF yo! 10. Network, Network, Network! The value of your network is your net- worth. The success of your career moves comes from the quality of your network. Lastly just to wrap it all up, something so profound that my mentor shared with me yesterday, during our telephonic conversation, that I feel is vital to share, is the importance of having open and honest career conversations. It is so important to always speak to what you want to be doing and where you see yourself, as opposed to fighting for a job. A job you already have, but your ideal career is a much more important discussion, this speaks to your desired state. So as promised, this is basically the second part from the post published last week around millennial Musings on banking, click here for a quick refresh on what went down last week. This week though, the focus is on the thoughts of those millennials who consciously mused about banks of the future and what their present expectations were of the future state of banking. As a very proud member of the financial institutions community, like any other committed individual, I really want to see traditional banks evolving and fulfilling their purpose in a way that makes their customers happy because customers are the heart of their business and a part of me also believes that this can be achieved by big corporates if given enough focus and deliberate action. In order to ensure that everything from the feedback received is captured, the points will be themed, grouped and listed. Float like a butterfly, sting like a bee. The hands can’t hit what the eyes can’t see. Basically, this famous quote by world renowned boxer Muhammad Ali sums up the primary and greatest reason why traditional banks are in danger and how they can overcome this danger. I’m not a boxing guru but I definitely this this analogy will help portray the message. Good boxers are like Fintechs, they have the finesse, speed and stamina to win the battle, but the big 4 giants have something these Fintechs don’t which is technique, experience and endurance. Now when we couple these 6 traits, that makes for a great boxer/ a great bank. So what do millennials want? The safety and stability of the old (minus the red tape and bureaucracy) but the agility and finesse of the new. The future is now. This is a concept the older generations like referring to as “instant gratification”. It is a concept laden with negative connotations that relate to regret from poorly thought out decisions but this doesn’t have to be viewed that way. Let’s take the process of getting a credit card for example (even a cheque card). The reasons for why customers have to sit through hours of paperwork and credit checks only to be told in the end that their card will be hand delivered to them at the earliest of their convenience just will not fly in the future. When a customer, a millennial customer is approaching a service provider for something, they usually want end to end fulfillment there and then or else what is the actual point? Yes we could say that people must plan better for their life events so they aren’t disappointed by the wait, but what if, you as a service provider could make the future happen now for your customers by tweaking a few processes, researching the demand for credit so that branches are adequately stocked up for the demand as and when it comes? What if you were so proactive that a week before Black Friday you’re signing up customers for in-store credit cards so that they have been delivered to be used on the day? Being more proactive about knowing the customer in this case is directly attributable to sales. Customer is happy, income statements are happy, it’s a win- win you see? Robotics!!!! millennials have expressed that they trust and prefer to engage and interact with technology to solve their needs than a human being. It’s much cheaper as they use data as opposed to airtime where they’re redirected to a call centre that makes them wait for 20 minutes before telling them “sorry Ma’am I don’t have the mandate to assist you with that request.” The cool thing about robotics is that it reduces headcount costs (but it does cause unemployment if not introduced and socialized correctly) on the upside thought, employees are freed up to do more meaningful and complex tasks that require actual thinking because the self service capability is actually of service, end to end. Which leads me to my next point, adequately equipped/skilled online assistance… if we are to go digital, we must do so excellently. Because millennials have no desire to go to the branch, the branch must therefore be designed into a space that they want to engage in, which in this case is online. The ability to offer advice and assistance online will make all the difference from a customer service perspective. However if the branch must exist, it must do so unobtrusively, in a way that allows for co- creation and advancing the economy. This way the bank achieves two things: it plays a role in fulfilling consumer aspirations and it also contributes in giving back to the community- which is very big with millennials. Purpose driven action/work. Farewell NIR (Non- Interest Revenue), RIP ATMS. Millennials (and digital developments) will essentially kill this line item as business moves to and creates digital alternatives to access and transfer funds as opposed to sourcing it from a traditional ATM. Staying ahead of cybercrime. With the new and fantastic era of digital banking, millennials are also cautious of cybercrime as this is one of the elements that come with the downside of digital. Their only plea with this is for banks to be proactive and engaged in the protection they offer of their assets. They want banks to be a safe and untouchable place. IN-TER-GRA-TION. As mentioned in my previous post, financial institutions have a myriad of data and information on clients. More than enough to do really small but really meaningful, kickass stuff. Millennials really think it’s lame that engagements and the identification of current and future product needs are still so “banky ” and impersonal. Banks can do a whole lot more to prove they understand their clients and show up as life and business partners. Banks need to understand client lifestyles and aspirations and meet those with their data. There must be collaboration with external corporates and an ecosystem built to fulfill these needs and make it a seamless experience to attain what matters to them, irrespective of whether it’s bank-related or not. Okay peeps so that’s the list! It was quite an eye opener for me and I learnt a few things from engaging with my amazing research sample group. I hope this perspective not only sheds some light but assists in some strategic implementations of how financial institutions cater for (not just millennials) but in actual fact, their future clientele. If there are any other topics you’d like for me to explore and write about, please leave a comment. I hope you’ve enjoyed the read! Why is butter so expensive? It turns out it’s not just me being dramatic on my Facebook status but research states that the price of butter has indeed doubled over a very short space of time. I remember buying a small brick of the yellow gold (250g) early this year for around R25 at Spar, this evening I went to stock up and found myself forking out 25% more for the same thing (in, the, same, year, HOW.). I get we are in junk status mode but there must be more to this price hike than that because over a few years I have noticed the price of butter increasing but it doesn’t quite hit you until you work and earn your own salary that you understand why your mother stopped making scones with butter and instead opted for “baking margarine”- not the same thing! Being the millennial muser that I am, I decided to genuinely find out and do some research and investigate why my favourite staple has become so expensive so that in future I can contribute more willingly and knowledgeably to the butter industry and instead of feeling like I am being ripped off, actually understand how my R32 makes a difference in an artisan’s life. 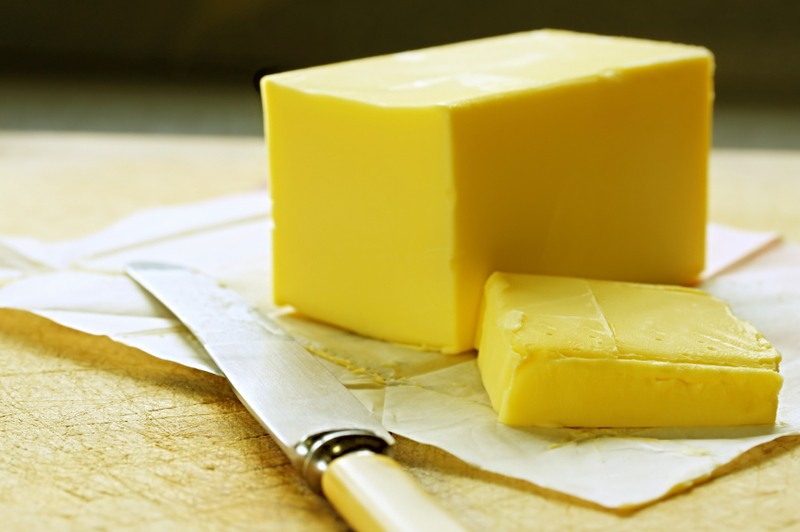 All your Banting buddies, are to blame… In more than two articles now I have seen it being referenced that there has been a sudden global surge (over a 3 to 5 year period) in the demand for high fat products as a result of eating trends and this has indirectly impacted the price of our beloved butter. Who would have guessed?! Apart from changing consumer habits, Business Live added that the ongoing drought in the Western Cape is also attributable to the butter price hike as they are contributors of half (along with the Eastern Cape) of all the milk production for the country, and water is one of the most important inputs in dairy production. So naturally this got me thinking…”so how is butter produced”, and for this answer, I went to YouTube; click here to watch the video. Author TshegoPosted on November 25, 2017 November 25, 2017 Categories Consumer Trends, Listicles, MillennialsTags butter, Consumer Trends, Listicles1 Comment on Why is butter so expensive? There is no doubt that many big corporates have begun to feel the effects from the entrance of millennials into their organisations. Recruitment agents and talent scouts have had to change and adapt to this new group of individuals entering the workplace (many of them for the first time) who behave in ways that have never observed before. Firstly, the brilliant thing (and something that will shock older generations) about millennials is this- we know that we don’t know everything and therefore, the more ideas and experts we have to work with, the better, and the easier for us because then everyone can play their part, brilliantly. The last thing that happens when we encounter individuals with more depth and knowledge than us is the threat of feeling disposable… or even worse- threatened. To us, it’s an opportunity to learn more and in some instances, the challenge of doing better and improving ourselves arises. You only know what you know and the minute you stop learning is the minute you start becoming useless. An environment that rebukes team work or collaboration and promotes silos, is a destructive environment that millennials just cannot tolerate. The fact that I know the solution for another department’s problem but I am “not allowed to give it to them” simply baffles us because the way we think and operate goes beyond our tiny circles of influence, the ideas we have extend beyond the invisible departmental boundaries, silos and hierarchical structures. We work on Vision, Mission, Purpose- then we execute. I mean to be honest, who the hell should care that Mary’s boss had a tiff last week with Simon’s boss so now they aren’t on speaking or sharing terms and because of that, Mary shouldn’t be either. In fact, Mary’s whole team should begin to shun Simon’s and no resources shall be shared with then until further notice. How is this moving anyone forward? To be honest, when organisations aren’t supportive of collaboration, it creates a selfish culture and an environment where trust is absent. When individuals are compensated based on personal performance on a group task, it creates an environment where people work together but essentially only have their own backs. So how can one truly and genuinely help their colleague if this is the remuneration system? The answer is- they can’t. So please stop telling us to be team players when we get nothing but betrayal for it. As long as it isn’t useless, or something to occupy our time until you find something else for us to do. And also, as long as that small sucky thing, is crucial in the bigger scheme of things. In essence, let’s start doing more value work and less waste work. If we can fax to email, lets. If we can relay the same message in 6 slides as opposed to 20 then why not? Life is too precious to spend it not progressing and not doing meaningful stuff. Come now. Q: Who are big corporates biggest threats at the moment? So please stop killing us by bringing in 37 year old execs to tell you how to compete with Fintech start-ups. Stop hiring consultants and spending millions each year when the answers lie in your grad pools. Come now. So a lot of what I have read online about the issues many people face with my generation is our lack of stickiness in general. We are here today and gone tomorrow. Gone are the days where you will find a millennials sticking it through in a job to get an award for “10 years of service” never mind 5 years. The difference between millennials and older generations is that unlike the ones who entered the workplace before us, security isn’t really a big career anchor among my generation. Many of us want to feel like we are significant and working towards a cause, something incredible. Yes the money is important, but we would rather go without it if it means that’s all we come to work for. Millennials are more than capable of “sticking it through” but we need to believe that me matter, that our personal and career growth are just as important to our employers as they are to us and we need to believe that we are in environments with channels that are effective in wanting us to win not just for the organisation, but for ourselves as well. I hope that my posts from these past two weeks have helped you either understands this incredible (and super crazy) generation or if you are also a fellow millennials, to actually help you see that you are not alone! I and many others stand in solidarity with you in this struggle as we try change the world, which we will :).